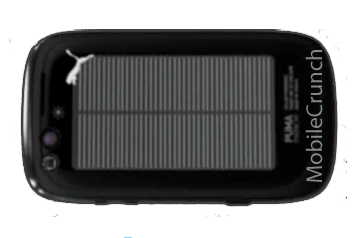 There's been talk of sportswear company PUMA going into the cellphone business and—based on the teaser website just launched—it looks like we'll really be seeing a solar-powered, super-sporty cellphone soon. For now we just have a blurry picture. It'll be called the "PUMA PHONE"
As the PUMA brand implies, it'll be aimed at sporty folks with a feature-set to match. Sports news app, IM app, and various other PUMA-branded apps which "give you access to the PUMA world"